To move budget dollars from one account to another. To make correcting entries to general ledger accounts. Note: To process all types of journal entries complete the Excel template. For restricted object codes (refer to instructions), send template to postmyje@rit.edu with a request to complete the upload. To gain access to on-line capabilities, in the General Ledger, AR, AP, Procurement and Fixed Assets modules used for inquiry and reporting. Procurement Card cardholder agreement form. To request information on an item on a PNC statement. To request a change to a ProCard's name, account number or limit. Must be attached to your monthly Procurement Card statement & returned to Accounting. Monthly log for tracking Procurement Card purchases. To apply for an RIT Procurement Card for a department or individual. PNC Travel Card cardholder Agreement form. To apply for an RIT Travel Card for an individual. To be completed each fiscal year in support of a cell phone reimbursement request by providing a detailed explanation of the reason (e.g., business purpose) an employee requires a cell-phone/PDA to conduct RIT business outside of regular business hours. This process is completed online in Oracle Self-Serve. To provide new or updated signature authority for employees authorized to approve Invoice Payment Forms, Travel Expense Reports, and Requisitions, follow these instructions. To authorize the direct deposit of a reimbursement into an employee's checking or savings account. To request stipend payments for Graduate Research Assistants. Payments to vendors for items not purchased on a purchase order. Travel cash advances for RIT employees. Used to document the participant's understanding and agreement with the program requirements, conditions applicable to their participation, and to process participant stipend/subsistence allowance payments. Used to initiate independent contractor services. This is the pre-approval form and it must be submitted and approved by accounts payable before the services are received. Used to reconcile payments made to human subjects. To request an advance for funds use an Invoice Payment Form. To request for taxpayer identification number and certification. To certify country location of work performed by the payee for tax withholding purposes. To determine whether or not the payee is a U.S. Citizen for tax withholding purposes. Setup vendors/suppliers not yet in Oracle. Reimburse employees for travel related expenses involving airline travel or an overnight stay. Reimburse non-employees for travel related expenses involving airline travel or an overnight stay. Request to wire payment directly to payee bank account, usually restricted to foreign individuals/vendors. To request a credit memo, adjustment or a write off of an invoice in the Oracle Accounts Receivable system. To request a customer set up/update/revisions in the Oracle Accounts Receivable system. To inform Property Control of the change in status of an asset. To be presented upon request when removing asset from RIT. Submitted after annual capital equipment physical inventory is uploaded to Oracle. To advise/receive authorization from Property Control to fabricate a piece of capital equipment. To process payments to exempt (salaried) employees for work over and above base salary. Additional payments may be made to non-exempt (hourly) employees for extra effort, spot award or job related prize only. To allow student employees, faculty, and staff to correct or change their address in the payroll system. Students must also update their address in SIS in order for the change to be permanent. To request a taxable allowance for an employee to defray the cost of home internet and/or cellular phone service used for business purposes. To request a taxable allowance for Finance & Administration employees to defray the cost of cellular phone service used for business purposes. To sign-up, change, or cancel direct deposit of payroll check. 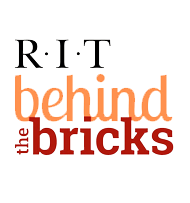 To initiate any action regarding RIT faculty and staff employees (non-student) such as hire, termination, change in status, rate increase, new salary distribution, etc. To report gifts (tangible or cash equivalent) to employees, students, and non-employees. To claim federal tax exemptions. To set up Kronos departmental users in Kronos Automated Time and Attendance System. To set up or cancel payroll deductions for Margaret House. To apply for compensation for expenses incurred during moving. To claim state tax exemptions. For students and co-op employees only. To initiate payroll adjustments for missed hours in a prior pay period. To initiate payroll adjustments for earnings or pay codes for a prior pay period for an RIT non-exempt hourly staff member. To set up, change, or cancel deductions for savings bonds. This is an online application and may be viewed by clicking here. This is an online application. You may choose payroll deduction or add a lump sum via credit card. When adding a punch or changing an existing punch in a CURRENT pay period. To deposit funds into an RIT general ledger account. To place departmental orders at the Digital Den. For a PI to approve a purchase made on a departmental procard. To place catering orders for Java Wally's. To apply for a Government Travel card (NTID employees only). To reimburse students for small dollar business expenditures less than $50.00. Please order forms from the HUB. To initiate action to hire an RIT student. To initiate student changes for merit increases, account number changes, rate changes for co-ops, extension of employment and date, re-class of title, etc.